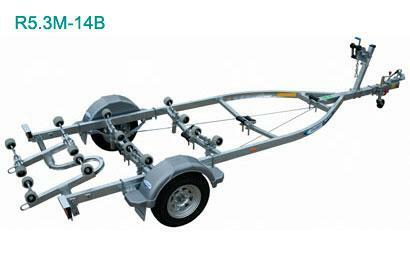 Material Other The Rollamatic Series offers boaters a competitive range of trailers for both fibreglass and aluminium boats with the benefit of adjustable keel support for the hull as well as a fully adjustable cradle roller system. Like all Dunbier models, the Rollamatic Series offers a heavy duty frame…even the smaller Dunbier models have the same attention to detail that you'll find in the larger models. Please call for advise on size and the right trailer to suit you boat.